At four weeks our pet Kunekune pig was getting big, we were probably starting to feed him too much and this I do regret as he is now (at 7 years old) a lot heaver than his brother. This overfeeding occurred as we did not know the correct amount of food a young pig required and as he was constantly hungry, and in the house, we tended to overfeed him. A noisy, hungry pig in the house is hard to ignore. 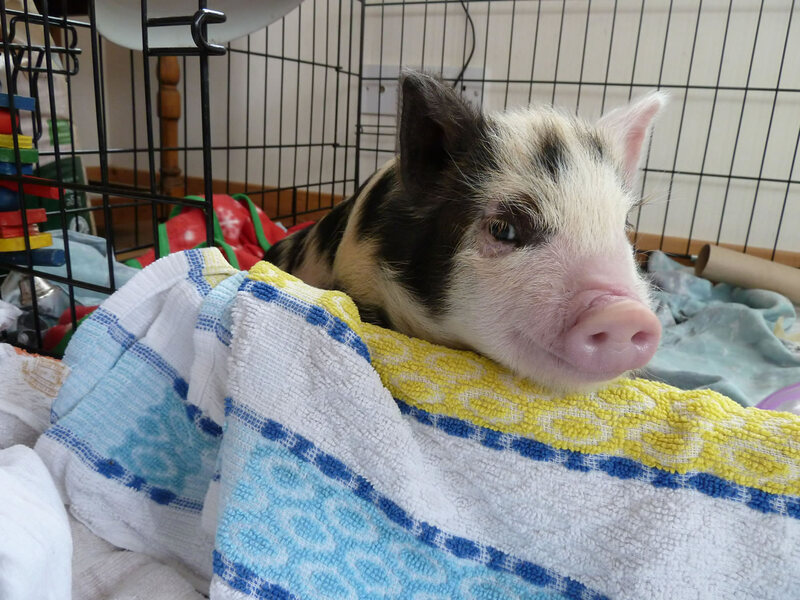 If you are thinking of adopting or keeping pigs then I would suggest you feed twice a day and maybe give them treats (bananas, apples, carrots) at other times. 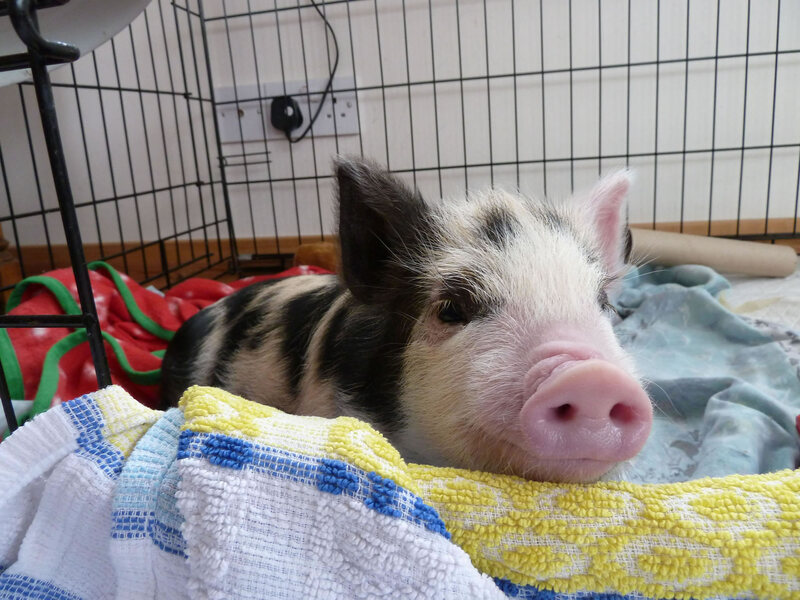 Another suggestion is to start keeping your pet pig outside in a shed (with a heat lamp if necessary) rather than ever keeping them in the house. The only reason for suggesting this is to make sure you do not overfeed and spoiling them with food. A pig that gets to heavy can have health issues in later life, an expensive problem that can often be avoided. 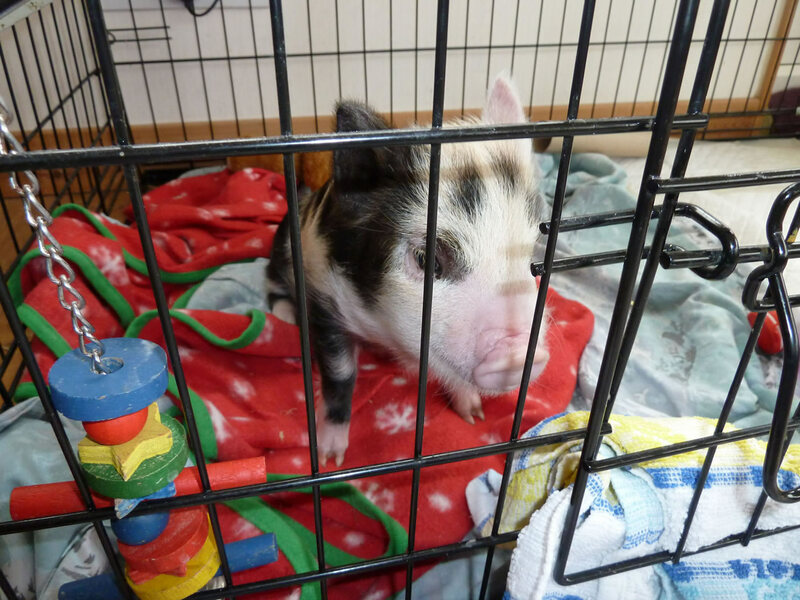 If you purchase a kunekune piglet from a breeder you will get a pig that has usually been fed by its mother, will have been weaned and put onto specially formulated small pig breed food - Pot Bellied Pig Food. This is specialist food is designed to keep your pet pig's weight down. Another thing to appreciate is that Kunekune pigs need access to plenty of fresh grass, ideally enough so that you do not need to feed them a lot of commercial small breed pig food, which tends to be expensive if you live remotely and in our case the far north of Scotland. At four weeks our pet Kunekune pig had a very cheeky look on his face. 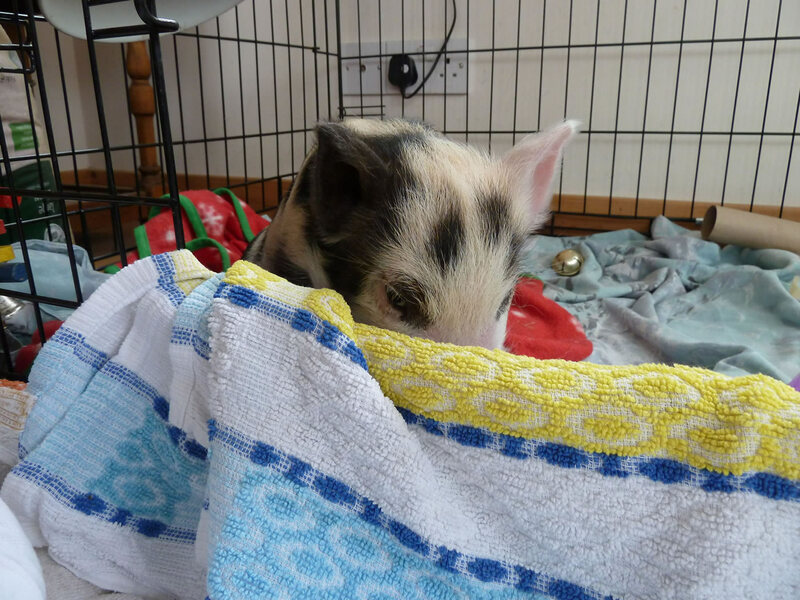 Geordie as a 4 week old pig putting on his "I am shy" look, he was never shy! 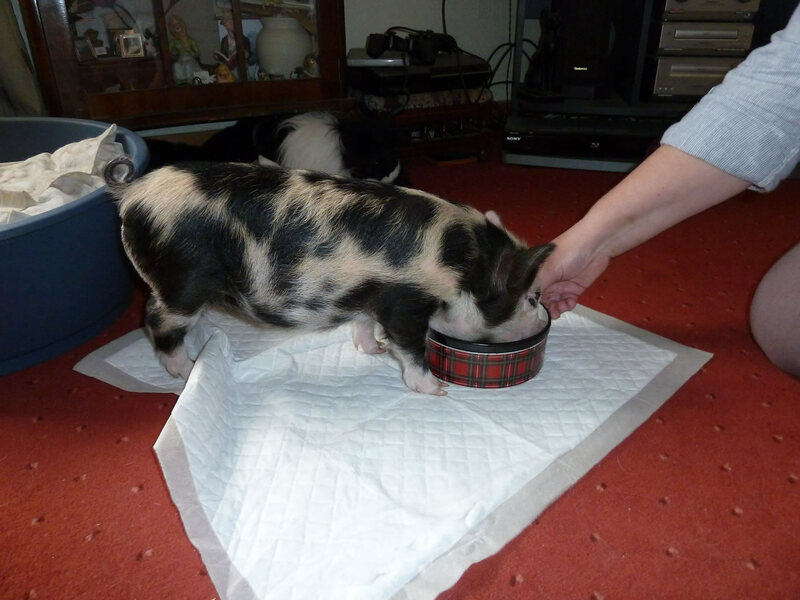 Our pet pig is still getting fed in the house, the bowl as well as the pig are getting bigger. Our pet pig is getting fed up being kept on his own and in a cage, he has the "get me out of here" look.